Visit our accident and injury rehabilitation clinic in Toronto. Although we try our best to prevent them, accidents and injuries occur. Pain and difficulty in mobility can result not to mention the inability to work. Doctors can prescribe medications for pain, and mend broken bones, but lasting discomfort can still be an issue as the root of the problem has not been fully addressed. Our Chiropractic and Physiothearpy injury rehab clinic can offer relief in many of these circumstances. Get Relief From Pain. We’re Here to Help You! 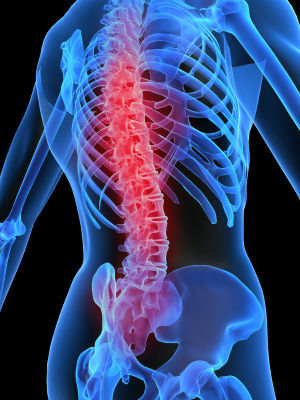 How Does a Chiropractor Help With Injury? What many people don’t know, is that a chiropractor is much more than a “massage therapist” or a “back adjuster”. Chiropractors can treat numerous types of maladies and conditions in addition to workplace accidents and injuries. These things include, but are not limited to allergies, asthma, fibromyalgia, sight, taste and hearing, not to mention pains from stress or trauma. This is because they are able to realign the nervous system structure in the body. The body’s nervous system is like the “wiring” which monitors and controls the body structure. This system interconnects the different parts of the body together in a complex “web” of nerves. It has been proven that you can affect one part of the body by stimulating nerves in a completely different part. This is one part of the basics of chiropractic treatment. Another essential component to treatment is the positioning of bones and joints. Bones can be easily jarred out of place, and joints misaligned. Many instances of such may not even be physically apparent, yet cause pain and discomfort in the area. Thanks to the nervous system, a bone which is out of place may even be stimulating or “pinching” a nerve, thus causing an unwanted condition. A chiropractor knows what to look for in these circumstances, and can very often, help the patient with this by an adjustment of the offending area. In Ontario, chiropractors are covered in insurance policies under extended care benefits. One of the other benefits is that chiropractors do not usually use medication. Medications can leave residuals in your body, which can cause side effects in the long run. These substances build up in the fatty tissue of the body over time, and can cause problems later in life. Medication can also be costly, and this could be circumvented in chiropractic treatment. Many work injuries include falls, blunt trauma, repetitive stress and others. Chiropractors and Physiotherapists can address the source of the problem in many of these cases to provide relief to their patients, and get them back to work sooner. If you have been injured at work, you need to explore all your options for recovery. Chiropractics is a proven science that works for workplace accidents and injuries. Consult with a licensed chiropractor to see if chiropractic treatment is right for your condition.